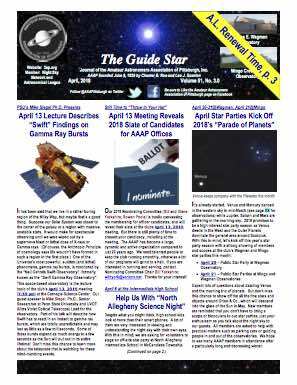 The Amateur Astronomers Association of Pittsburgh will meet at 7:30 PM, Friday, November 10, 2017, Allegheny Observatory, 159 Riverview Ave, Pittsburgh, PA 15214 . The meeting program is the Annual AAAP Kevin J. Brunelle Astrophotography Contest. Review the images in a stunning presentation. Members vote. Winners announced at the meeting and online.